England in the 1520s is a heartbeat from disaster. If the king dies without a male heir, the country could be destroyed by civil war. Henry VIII wants to annul his marriage of twenty years and marry Anne Boleyn. The pope and most of Europe oppose him. Into this impasse steps Thomas Cromwell: a wholly original man, a charmer and a bully, both idealist and opportunist, astute in reading people, and implacable in his ambition. I confess that I did something I wouldn’t normally do… I watched the mini series before I had a chance to read the book. Normally when there is a series or movie that excites me which happens to be based on a book, I make a point of reading that book first. In this case though, I’m glad I watched the series first. The book is written in the present tense, which works really well for this story, but there were times when I was a little confused… When I didn’t know if I was in Cromwell’s head or not and when not, whose point of view was I in? Having watched the mini series, I was able to work out most of the confusion based on what I’d seen. One of the quotes in my copy promised that I would be unable to put the book down, but I found that it was remarkably easy to walk away. Fortunately, a few chapters in, the story did pick up and grip me a bit more. I was pleasantly surprised that although there were the usual changes for the translation to TV, most of the story had been faithfully reproduced on screen. The characters had been captured so well, that reading the book felt like revisiting the awesome series … a refreshing change from many adaptations! I’m a self-confessed Tudor-holic and a quick look at my library will show that I collect any and every book I can find that talks about that period in history. I have stories about everyday people, right up to the role players at court and I am fascinated by how they all come together. 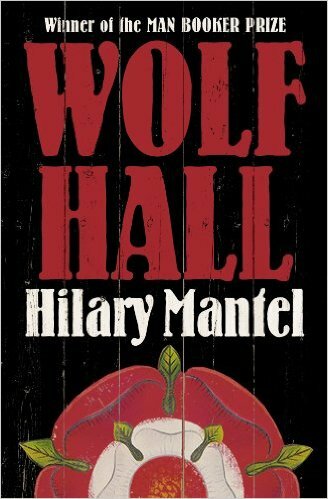 Wolf Hall did not disappoint. It was a fresh perspective on a story that I know only too well, filled with familiar characters and historical occurrences which helped to create a wonderful, 3 dimensional world. I can’t wait to read the other 2 books in the series. I would definitely recommend it to fans of the Tudor period. It’s a fascinating read. One of the more interesting discussions that often takes place between authors and readers is the issue of reviews. Not only the need for reviews – after all, reviews are vital – but also the act of reviewing and what makes or breaks a review. It is something that troubles people and may be a contributing factor behind the reluctance some people show when asked to review books. 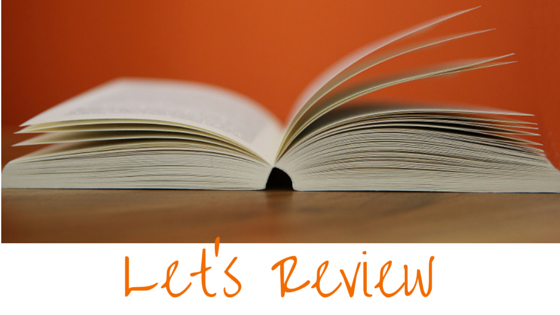 One of the most important marketing tools for an author is the humble book review. After all, what better way is there for a prospective reader to know if they should take a chance on you or not than by reading what others have had to say about your work? Reviews contribute significantly to potential sales, but having said that, it’s one of the more difficult things for an author to get. I would love to hear what you think. What was the best review you received or read and what made it so amazing? What is the most useless review you’ve ever received or read and why? Is there anything a reviewer can say that will almost always make you want to buy a book? If you could see how many surfaces of my home my TBR pile has taken over, you would understand that finding “something to read” isn’t as simple as it might be in another home. With all the different genres waiting to be read, it’s sometimes surprising what your subconscious picks to read next. Last week was a case in point. I’m working my way through a non-fiction book on Anne Boleyn, which you’ll hear about soon enough, but I like to have 2 or 3 books going at once and definitely a few different “types” so that I can change my mood by changing my book. Running my fingers up and down a pile of books, quietly shivering in anticipation of being read, I found myself drawn to this one and I’m really glad that I didn’t put it back. It was fascinating! Lady Fiona Carnarvon became the chatelaine of Highclere Castle – the setting of the hit series Downton Abbey – eight years ago. In that time she’s become fascinated by the rich history of Highclere, and by the extraordinary people who lived there over the centuries. One person particularly captured Fiona’s imagination – Lady Almina, the 5th Countess of Carnarvon. Almina was the illegitimate daughter of banking tycoon Alfred de Rothschild. She was his only daughter and he doted on her. She married the 5th Earl of Carnarvon, at 19, with an enormous dowry. At first, life at Highclere was a dizzying mix of sumptuous banquets for 500 and even the occasional royal visitor. Almina oversaw 80 members of staff – many of whom came from families who had worked at Highclere for generations. But when the First World War broke out, life at Highclere changed forever. History intervened and Almina and the staff of Highclere were thrown into one of the most turbulent times of the last century. Almina was forced to draw on her deepest reserves of courage in order to ensure her family, the staff and the castle survived. This is the remarkable story of a lost time. But Highclere remains and in this book, Fiona weaves Almina’s journey and those of her family into the heritage and history of one of England’s most exquisite Victorian castles. I thoroughly enjoyed this book and while I confess that it was the tagline about Downton Abbey that initially caught my attention, it was the story itself which held it. As you can see, the story follows the life of the 5th Countess of Carnarvon, a woman who certainly had a less than auspicious start in life. Thanks to her dowry though and her own charming disposition, she was a highly desirable wife and although I was surprised by the reason behind her betrothal, I was extremely touched by the love that they shared throughout their marriage. It was also fascinating to read more about how the large estates worked. Even having a fair idea of the system, it was really interesting to read such a personal and touching account of how the staff took pride in their positions and roles on the estate and how even their differing social standings didn’t stop them from being as much a part of the fabric of Highclere as the Earl and his family themselves. The next interesting stage in her story was the start of World War I and how that allowed her to indulge her passion for nursing and her holistic approach to healthcare is truly inspiring. The idea of providing not only medical care for the body, but nourishment for the mind and peace for the soul was certainly revolutionary and it’s interesting that her hospital is credited so highly for their care of the wounded. Of course, running as a thread through so much of this story is the fact that her husband was a huge fan of Egypt and was working every year on digs. Of course, he would go on to be part of the team that discovered the tomb of Tutenkhamun and his legacy is undeniable. Of course I already knew about the Earl, but reading about his wife was really eye-opening. She was a strong woman in a time when the world was changing and in a way, she became a bridge between the past and the future. This is not a work of non-fiction, nor is it strictly a work of fiction. Rather, it is a well-written and easily accessible tale of the history of a great house and a historic family. I would certainly recommend this book. If you move in author / publishing circles, then there’s a good chance that you’ve seen the blog post from Imy Santiago that I’m about to share a link to here. Her post deals with the fact that Amazon removed her review, claiming that she “knows” the author. As she rightly points out, in Indie publishing circles, there’s a chance that many authors have met online or been in touch even in passing at some point. That’s one of the things that makes being an indie author so attractive… the sense of community. Let’s be honest, if we examine our social media lists, most of us are “friends” with or follow authors, especially authors we enjoy reading. If you’re in any book groups on Facebook, you may even have had a chance to speak to these authors. Does this make your review any less valid? No. So… reading this blog post of hers and thinking about her experience made me wonder what our community of authors can do in the face of ever changing policies, payment options and “big brothering” from retailers? It’s not only Amazon that is changing the face of publishing though. The other day there was rumbling about another outlet removing romance titles from their listings because of how it was influencing their experimental payment options. As an author and reviewer, this is a very interesting (and by interesting, I mean quite unstable) time. As an author, I am in danger of being underpaid for my hard work depending on if I opted in to a certain option or not and as a reviewer, if Amazon has even a slight suspicion that I might “know” the author of the book I’m reviewing, they can just decide not to post my review. Right now, as an author I am waiting to see how those new options work out. My circle of awesome colleagues and I are sharing, researching and keeping each other abreast of any news and as soon as I have enough factual information, I can make an informed decision. As a reviewer, I can review under either of my author profiles, my “real world” profile or as The Book Mistress. This should help me to stay ahead of the strange Amazon spynet. One thing I will not do, is stop reviewing. Reviews help to sell books, they help to promote authors & they help to find loving homes for great books! We’ve all seen this meme on social media at some point or another right? For most of us, it’s an automatic share with fairly little thought behind it. At best we nod and hit that share button with a sense of purpose, hoping that others will sense the strength of our feelings about this matter. Let’s take a look at this meme. First of all, I would suggest that while this is focused on Indie Authors, it holds true for any author. First of all, the issue of paying for books. I’m an honest woman and I confess, I like a good pirate… sigh… but unless that pirate happens to be the ever delicious Johnny Depp, there really isn’t any place for them in the real world. There certainly isn’t any place for pirates in the world of publishing. Sadly though, no-one has yet started a petition to hang them high and dry and so we suffer with them still! So when I commit to paying for the books I read, this is an important issue for me. Have I ever wanted to read a book or series that I couldn’t afford? Of course. Have I ever been tempted to hunt down pdf copies online? Never. I believe in having respect for the author and the hours of hard work that they put into creating that book. Additionally, I was raised by a police officer, so perhaps that plays a role in it too? I have long believed that anyone who supports or defends the piracy of books (music, photography, etc) was raised badly, but that’s neither here nor there. An author has worked really hard on their book, the least you can do is pay for it. Next, let’s look at the issue of writing reviews. This one shouldn’t need much explaining. If you’ve read a book that you really enjoyed, then saying so is a great way to thank the author. Taking the time to acknowledge that their words moved you or entertained you or educated you is such a simple thing, but it can mean the world to an author. You have no idea! There is some basic review etiquette that I’ll cover in another post, but basically, if you don’t have anything nice to say… it really is better to keep your mouth shut. Reviewing ties in nicely to the last item in the meme… Spreading the word. Reviewing a book will tell other potential readers and buyers something about the book, will encourage them to take the chance on a title that has already caught their eye. By sharing your review on your own social media channels, you help to bring attention to that book… you help the author to reach new people that they could otherwise never have reached. Naturally you can spread the word whether you review or not. Every little bit helps to support authors. As I said at the beginning, while this meme is specific to Indie Authors, I would say that it’s the same for every author. Being published by a mainstream or “big” publisher doesn’t make that person any less in need of honest readers, good reviews and spreading the word. Now… go forth and support the creative endeavours of authors everywhere! What happens when two people who are meant to be together can’t seem to get it right? Rosie and Alex are destined for each other, and everyone seems to know it but them. Best friends since childhood, they are separated as teenagers when Alex and his family relocate from Dublin to Boston. Like two ships always passing in the night, Rosie and Alex stay friends, and though years pass, the two remain firmly attached via emails and letters. Heartbroken, they learn to live without each other. But destiny is a funny thing, and in this novel of several missed opportunities, Rosie and Alex learn that fate isn’t quite done with them yet. I’m a big fan of Cecelia Ahern. I really enjoy her storytelling techniques and her talent at fleshing out characters. I was given this book as a gift after saying that I wanted to see the movie. I prefer to read the books before I watch adaptations, so it was a great surprise for me. I confess though that this book isn’t a new story, it was previously released as Where Rainbows End and it turns out I have it on my shelf waiting to be read… that’s what happens when you have a TBR pile larger than most people’s libraries 🙂 At any rate, I was still looking forward to reading it. The story is written in the form of letters, emails, cards, texts, instant messages and postcards. It’s a style that could’ve been a complete disaster, but somehow works – even though there are times when you’re at risk of getting confused. This particular style choice does mean that the author was able to dispense with many of the details of scenery and surrounds and also allowed her to have large chunks of time pass in only a few pages. The style also allows us to really get an intimate feeling for each character in a way that I’m not sure would’ve been as sharp in a normal narrative. For that, I thoroughly enjoyed it. It definitely felt more like I was getting to snoop into the private lives of the characters and experience their trials and tribulations with them rather than merely reading about it as a spectator. I will confess though that there were times when I skipped certain interactions (instant messages between two of the characters for example) as I was more interested in finding out what happened with other characters. The story was beautifully told and a really fun read. So very easy to relate to and I think making use of the various familiar forms of communication made the story feel current and relevant. I am really looking forward to seeing if the movie works out as well. A definite 4 hearts from me. 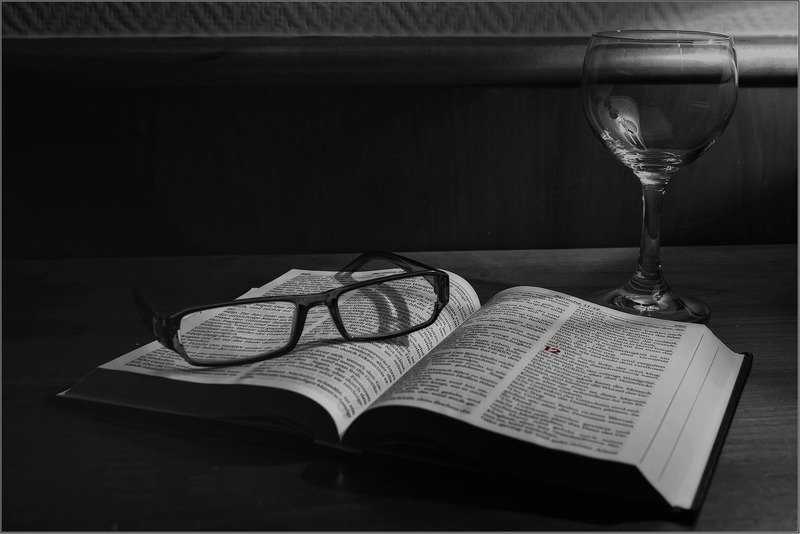 One of the things that I really love is reading. It is one of the things I love most… even above sleep (and chocolate, but shhhh… that’s a sin lol). Sometimes I am so busy that I don’t get much time to read and then suddenly a window of opportunity will open and I dive into my TBR pile and hunt down the book I’ve been waiting to read most. In March I was given a few books as a belated birthday gift. More than one of these had a common thread – Tudor England – because if there’s one thing that my family and friends know, it’s that I love that period of history. 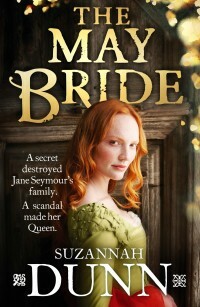 One of these books was the beautifully written The May Bride by Suzannah Dunn. I have a few of her books and so I already know that I love her writing style and her ability to sweep me into her story. The subject of this book was a new one to me though. Well, the lead character isn’t unknown and she certainly wasn’t new to me, but I have never read a book which focused on her life before she entered that famous world stage that was “Queen of England”. This beautiful book focuses on a teen Jane Seymour and some experiences that may’ve shaped her later in life. The story is wonderfully written and I confess I only got 4 hours sleep because I was silly enough to start reading it at nearly 11pm! It was everything I was expecting from a Tudor period story. Some of the cast of characters were of course extremely familiar, although this was a totally new and fresh perspective on them. Others were brand new to me and contributed to a rich and textured glimpse into Jane’s early family life. The only downside for me? Well, I felt as if a lot of time had been spent on certain parts of the story (and time well spent), but towards the end of the book I felt that I would have been happy to have a few more chapters and a some more details. By no means does this detract from the overall success of the book, I just would’ve really like more. A solid 4 hearts from me. I’m sure by now you’ve seen this picture on Facebook or shared on Twitter or even Tumblr or blogs. It’s mostly shared by authors and their friends and family and it is fairly clear and to the point. One of the biggest problems facing authors today – whether traditionally published, indie published or self-published – is the large number of book piracy sites. They are an ever increasing problem and no matter how many we shut down, more seem to spring up to take their place. 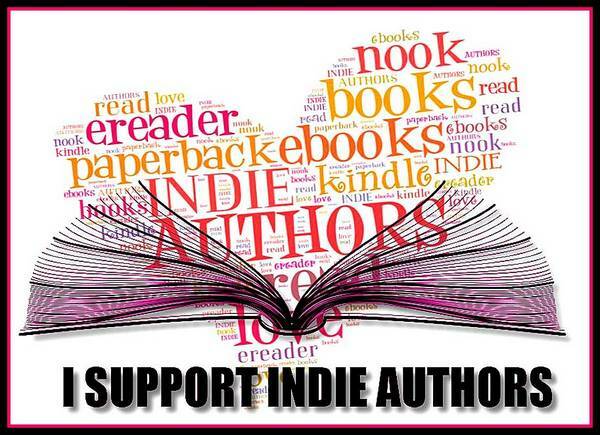 So how can you help your favourite authors? Well, as the infographic says, make the effort to buy their work. Most authors will never make it big from book sales, but every little bit helps. Another important element which goes a long way towards helping an author is the humble review. Sure, some reviews aren’t great, but on the whole, reviews are a fantastic way for new readers to find your work and see if they want to read your book. It’s also something that is easy for people to share. It’s a strange thing, but the more reviews a book has, the better it seems the book is. Like with most things in life, my recommendation when it comes to reviews would be this… “If you don’t have anything nice to say, don’t say anything at all”. If you can’t find something positive to share, there really isn’t any point to writing a review… other than just being nasty for the sake of being nasty. Finally, if your author is taking the time to maintain an author page, host events and offer insights and giveaways… please take the time to participate. They love to interact with their fans. They wouldn’t bother if they didn’t. It allows you the opportunity to go “behind the scenes” as it were and be on the inside track for future books and upcoming events. Remember that authors are hard working, creative people. They’re also only human. Be kind, respectful and have fun.